iLawyer Marketing is a certified premier Google Partner. In addition to the standard Google Partner benefits, iLawyer belongs to the Google Marketing Solutions Acceleration program and has a dedicated Strategic Partner Manager. This partner manager meets regularly with our team to provide personalized Google support in areas such as account management, troubleshooting, and new product offerings. One of the most powerful ways for law firms to generate business online is through PPC (Pay Per Click) advertising on Google. With over 10 years of experience helping law firms generate leads through their online marketing, you’re in great hands with iLawyerMarketing. Our Google Adwords certified PPC experts will tailor a strategy to meet your campaign goals and objectives for whatever your budget is. Is a PPC campaign right for my law firm? One of the great advantages of running PPC ads on Google, Bing or Yahoo is it allows for virtually instant 1st page visibility on the search engines. An intelligently run PPC campaign may be the right choice for your firm if you don’t have the time or budget to wait for an organic SEO campaign. The SEO process can take time depending on a variety of variables including where your site is currently ranking, how competitive your market is and what the level of trust the search engines have with your current website. In addition, with Google’s change of removing the right side ads and adding an additional ad up top, in 2016 it makes more sense than ever to be running a PPC campaign. In our recent study looking at where users click in the search results, we found that the #1 paid position on Google received more clicks than anything else on the first page of results, including Google locals and the #1 organic spot. If you’ve tried PPC in the past and it didn’t work, that doesn’t mean you should give up on paid search. In nearly every case we have looked it, this was due to poor campaign management or poorly designed landing pages that did not convert well. We know there is nothing worse than running a campaign that fails to deliver leads so our objective is always to maximize the number of leads you get so you can generate more new clients for your law firm. What makes iLawyerMarketing a smart choice for managing your PPC advertising? Just as in law, experience matters. While it doesn’t automatically make someone good at PPC management, the knowledge of what works (and what doesn’t) is critical to running winning campaigns. We’ve been successfully helping law firms generate business online for more than a decade. The research and insight we have on how consumers choose lawyers online is a critical component in our ability to help clients make their marketing work. This knowledge is applied to every campaign we manage so we can help you generate more leads through our marketing efforts. Through consistent experimentation, focus group testing and usability testing, we are able to find out why people click on certain ads over other ads. This is key to understanding how to properly optimize a paid search campaign and maximize the number of leads your ads generate. 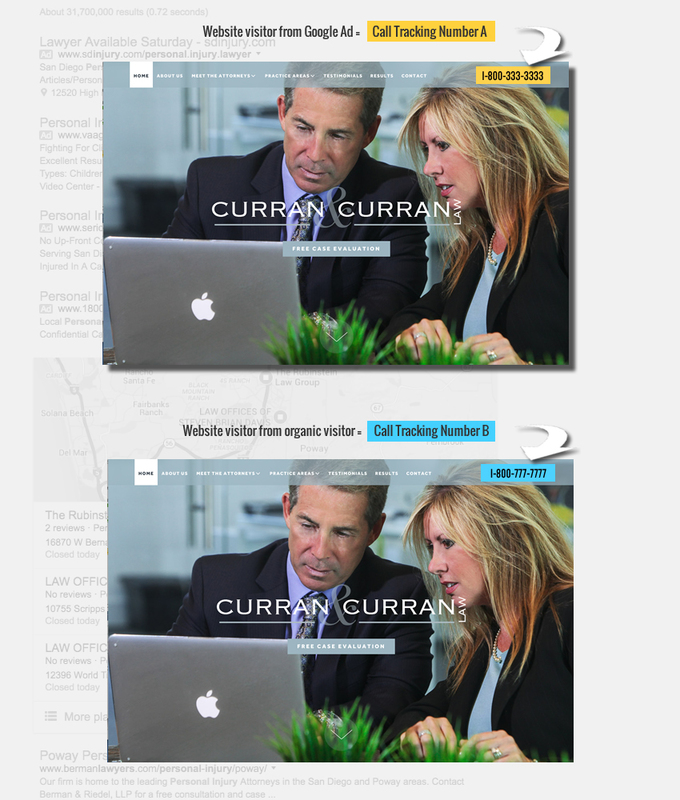 Below is one of our usability study videos that show just how important the design of your website is when it comes to converting your visitors into actual leads that contact your law firm. If you are running an ad campaign but are not able to convert your visitors, your campaign is doomed to fail from the start. When we manage your PPC campaign, you have a team managing your campaign with a deep understanding of user behavior, why consumers choose one lawyer over another and ultimately what needs to be done in order to drive new leads. We take great pride in making sure that we help you get the best “bang for your buck” when it comes to marketing your practice. Our goal is always to lower your average cost per click while improving your ad position. Where your ads rank on Google is not just about how much you bid. 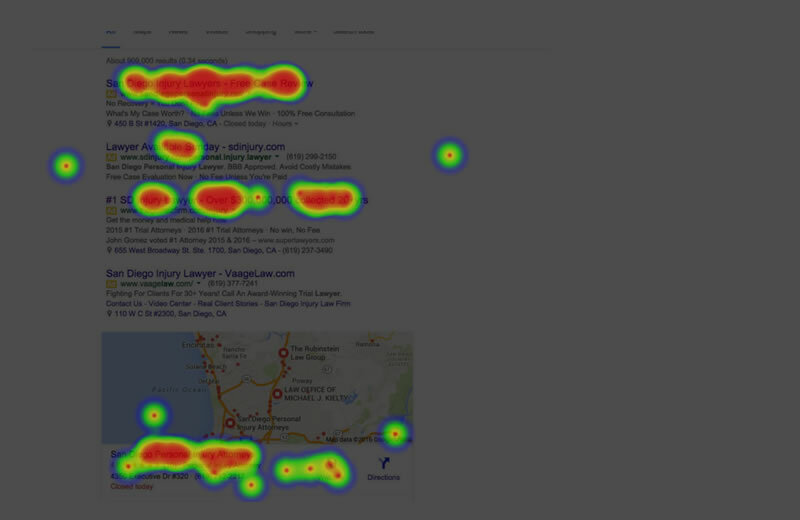 Google uses an algorithm called Ad Rank to determine where your ad is placed for any search. Ad Rank is calculated using your bid amount, Quality Score, and the expected impact of ad extensions and other ad formats. Whether it’s running campaigns on regular search, mobile, or both, you can count on iLawyerMarketing to help you stretch your campaign budget as far as possible in order to maximize the number of leads your ads generate for you. 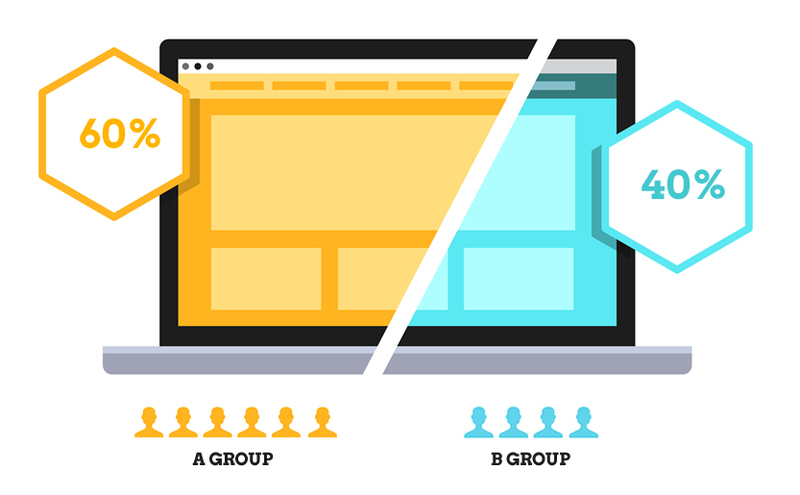 In order to ensure you are getting optimal click through rates and maximizing your conversions, we conduct A/B testing (also called split testing) in order to properly optimize the campaigns we manage. Trying out new ad variations to find out what ads work best is crucial to running efficient campaigns and the extensive experience our team has is a critical component in helping your ads to convert. While we always look to find statistically significant results in the testing we conduct, we know that at the end of the day, the only thing that matters is our ability to generate more leads for your law firm. Intelligently run paid campaigns utilize the right AdWords match types. When bidding on keywords you can either aggressively advertise for multiple terms or tightly control the keywords you show up for. You have multiple options when running a campaign including Broad Match, Modified Broad Match, Phrase Match, or Exact Match. Which one is right for you? That depends on your campaign goals and what your budget is but we will make sure the keywords your ads show up for are are fine tuned during the time we are running your campaign. Knowing the right keywords to use – and which ones you shouldn’t use – is the most important element in running efficient PPC campaigns. Through the use of negative keywords, we can make sure you do not waste money on paying for clicks that are not inline with your marketing objectives. This helps to ensure the clicks you are paying for have greater potential to turn into actual clients. We use our extensive experience and years of research, keyword research tools and your campaign data to make sure your campaign is using the best keywords possible. 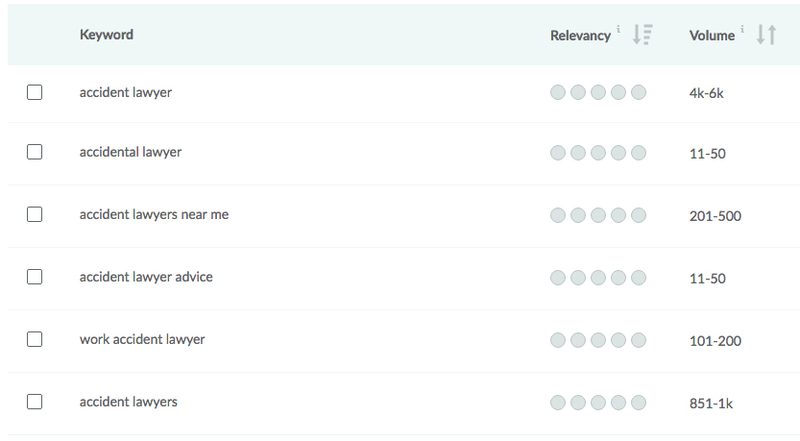 One of the biggest questions law firms have is “Where are my leads coming from?” If you are running paid ads as well as an organic SEO campaign, you need to be able to tell what form is advertising is working best. When you work with iLawyerMarketing, you will know where your leads are coming from as long as you are using Call Tracking phone numbers. We can set up your site to display call tracking phone number A for all traffic generated from Google Adwords while at the same time displaying call tracking number B for all organic traffic. Google’s ad extensions bring extra attention to your ads and help to deliver more visitors to your website. When used the right way, they can deliver more leads for your law firm. Ad Extensions are not automatically shown for all campaigns since Google requires a minimum Ad Rank score before they’re displayed. 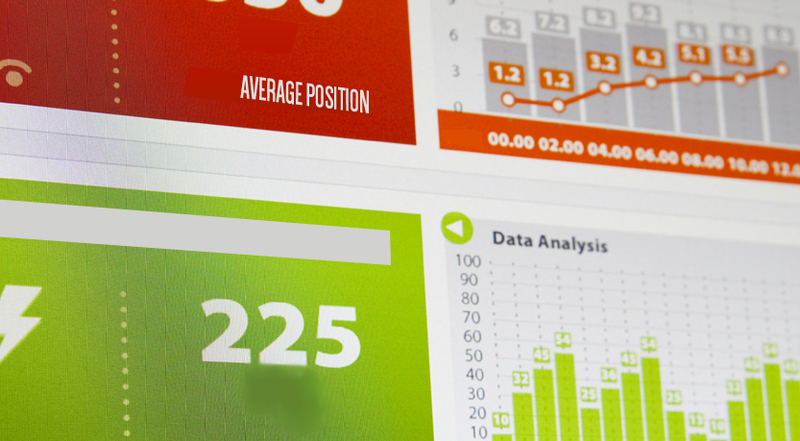 We ensure your Ad Rank score is high enough to utilize the benefits of Ad Extensions. Additionally, certain ad extensions deliver better results than others. With iLawyerMarketing handling your paid search campaigns, we will make sure your campaign is using the right ones that work best with your budget and campaign objectives. You don’t want your ads being served to everyone online as that can be a huge waste of your budget. This is a mistake that too many attorney PPC campaigns make. For example if you are a divorce lawyer in San Diego, you don’t want your ads running all over the state of California. Someone from Los Angeles is probably not going to make a 2 hour drive to your office. Maybe you want to specifically target high income cities inside of San Diego. We can do that by utilizing geo-targeting. There are few things more frustrating than wasting your marketing dollars and not seeing any return. Over the last decade we have heard countless stories from law firms who have had a terrible experience with Adwords campaigns. That is almost always because of bad campaign management. That includes allowing clients to run Adwords campaigns to pages that do not convert well. Trying PPC with a bad or even average website is not a smart and we would not let you do it. Unless you have a great website or landing page that is built to convert, it’s not worth spending money because you are going to be wasting your money. We will give you an honest evaluation of your website to see if your site is capable of running a successful campaign. After years of experience studying law firm website visitor behavior, we have a very good idea of what works and what won’t. Your website or landing pages are your foundation for running a successful Google Adwords campaign, so if they aren’t good enough we will tell you that we cannot run a campaign for you. If you are not utilizing Google Adwords right now, you are missing out on leads and losing cases to your competitors who are. We have seen it make a huge impact for many law firms we work with. If you want to find out if we can help you, call or contact us today.